While it is pervasive and highly effective in the corporate world, the use of a marketing automation for advancement literally has never been done before. It represents a different approach. Obviously, there are some basic questions. Here are seven frequently asked questions about Capture Behavioral Engagement (CBE), Capture Higher Ed’s marketing automation software for advancement offices. My institution is using Google Analytics already. Why would we want to use marketing automation for advancement? Google Analytics tells you “how many” (e.g. 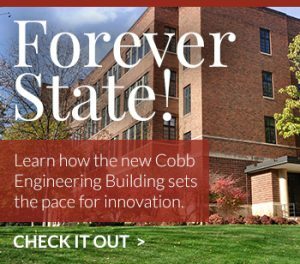 how many page views you had on the College of Engineering page yesterday … how many people visited your site from a particular banner ad … how many people clicked on a particular link …). CBE tells you “who” visited and “what” they did. Here is an example of dynamic website content. For example, CBE can tell you that Jessica visited the College of Engineering page, and it can tell you the exact pages she visited before and after. Further, CBE gives you a variety of tools to solicit potential donors in “real time,” based on their engagement and their specific interests and behavior. Examples of this are the dynamic website content (e.g. toaster message, image swap), triggered personalized emails and texts, and alerts to university development officers when high-capacity prospects exhibit certain behavior. Google Analytics doesn’t have any of this. By communicating with potential donors in real-time, based on their current interest and behaviors we believe we can further influence giving behavior, increase conversion rates and help schools develop long-lasting relationships with alumni. Is my institution capable of leveraging this technology? CBE is a managed service. Our team becomes an extension of your office to develop content, help translate data into insights and insights into strategy. As a result, CBE is more than software; it is a partnership with a higher ed technology firm that lives this 24/7. How much time is this going to take for our IT department? Hardly any. CBE has a very light footprint on your website, using a similar approach as Google Analytics. Adding our tracking code can be accomplished in minutes. What are the differences between CBE and other marketing automation tools? Hubspot is a very successful general commercial marketing automation product, aimed at small to mid-sized businesses. By contrast, CBE is aimed exclusively at higher ed institutions and focused primarily on enhancing schools’ donor engagement. Does this work across devices? Yes! A visitor can engage with the school’s website(s) via any device (computer, mobile phone, tablet) and CBE provides a mechanism to stitch together all of the visits into a comprehensive profile of the visits over time. What technology is used for your ‘toaster’ dynamic content? Does it work on smartphones? Can it be blocked by pop-up blockers? Quick, measured in person-hours, not days or weeks. And if Capture manages your use of CBE, we do almost all of it for you. Do you want to find out more about marketing automation for advancement? Check out this short video on CBE for advancement and request a demo.